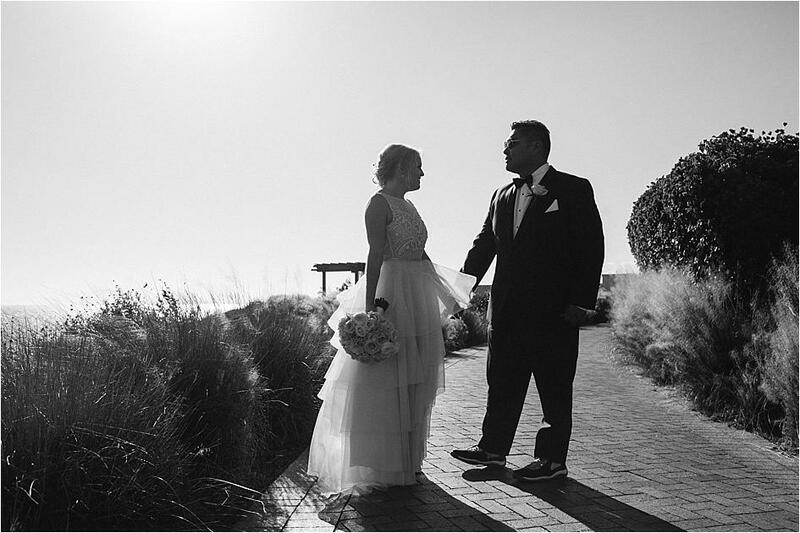 Patty and Rob met when they were working together at Comedy Central in New York City. 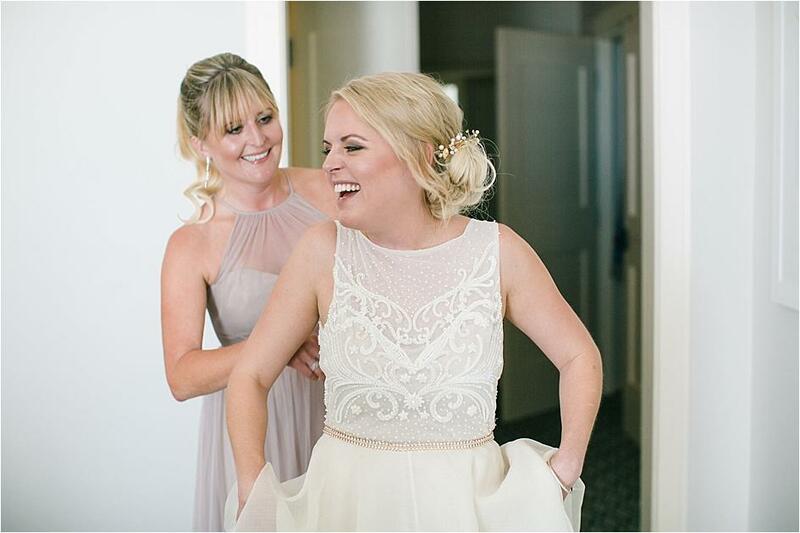 Rob was one of the first people Patty met when she started and it was during a trip to Miami for a comedy festival that Patty began to realize her feelings for her future groom. 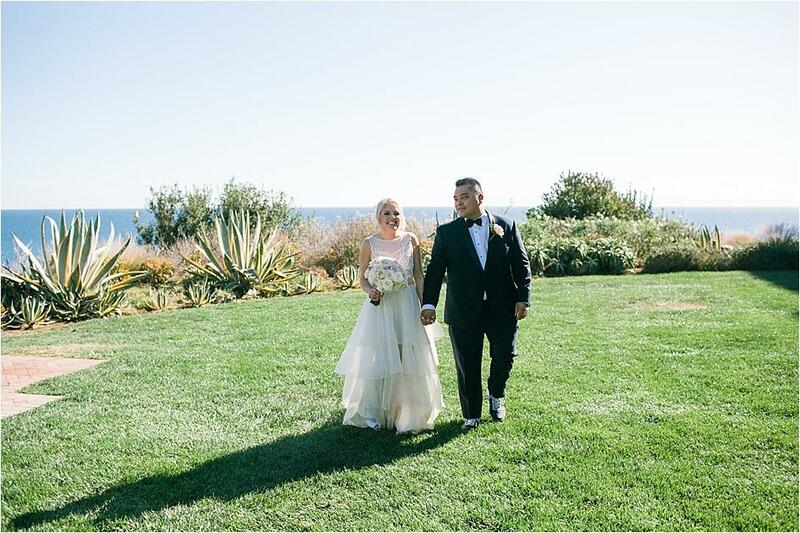 The couple shared their first date at a Mexican restaurant in Tribeca and made the move out to LA when Rob was offered a job with Netflix only months later. 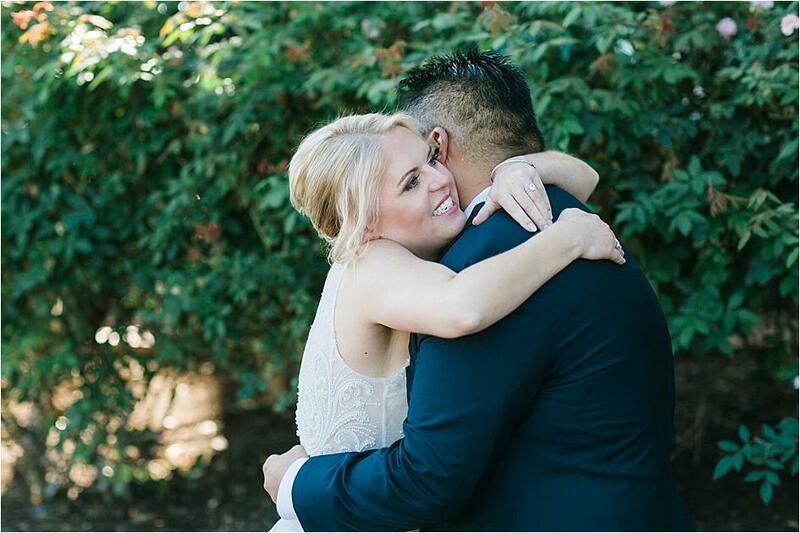 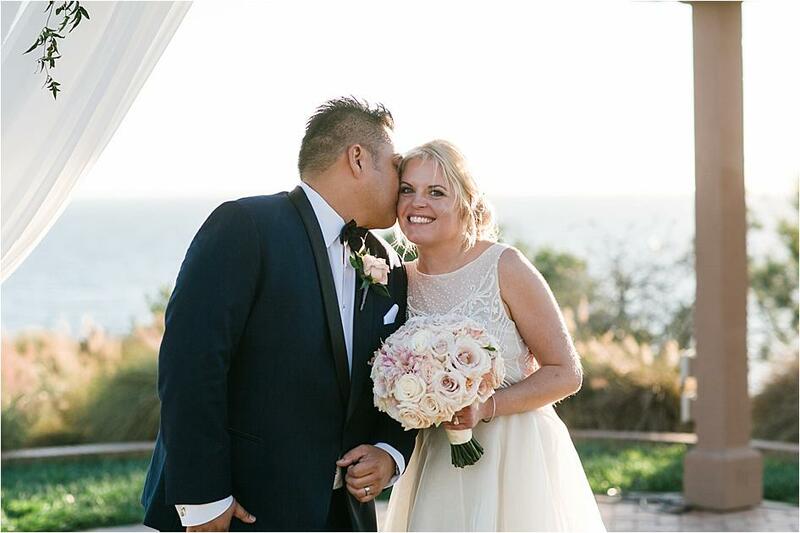 Rob proposed to Patty while the sun set over the crystal clear water and white sand beaches of Maui, and the duo began planning their dream day with help from Platinum Weddings by Kerrie. 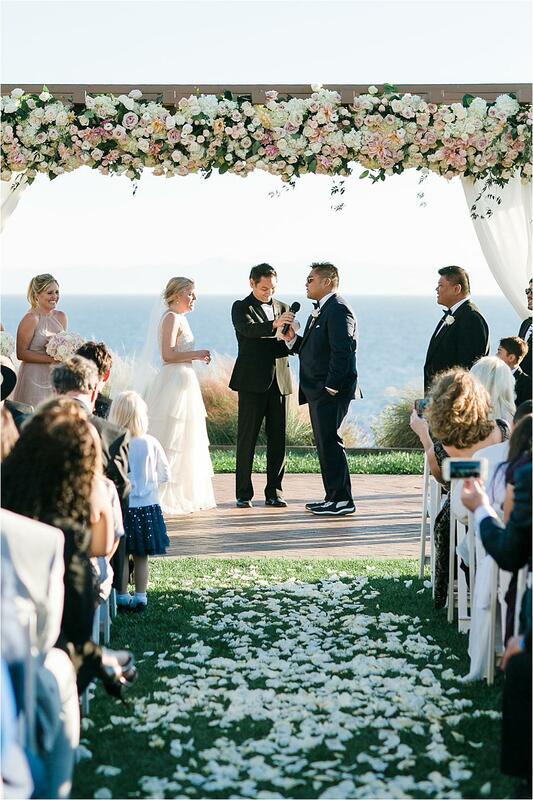 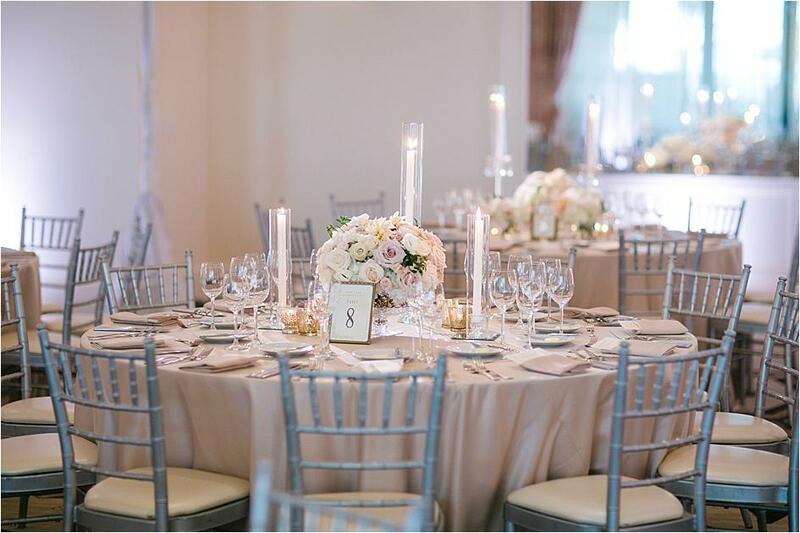 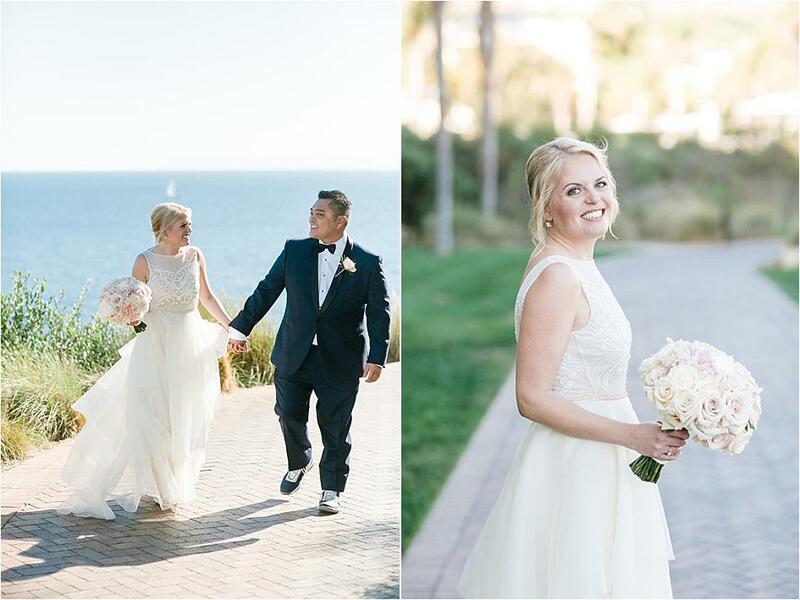 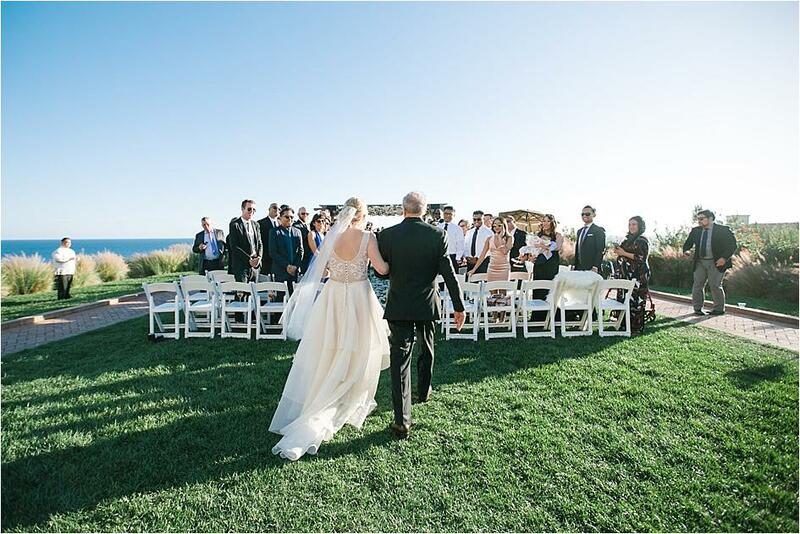 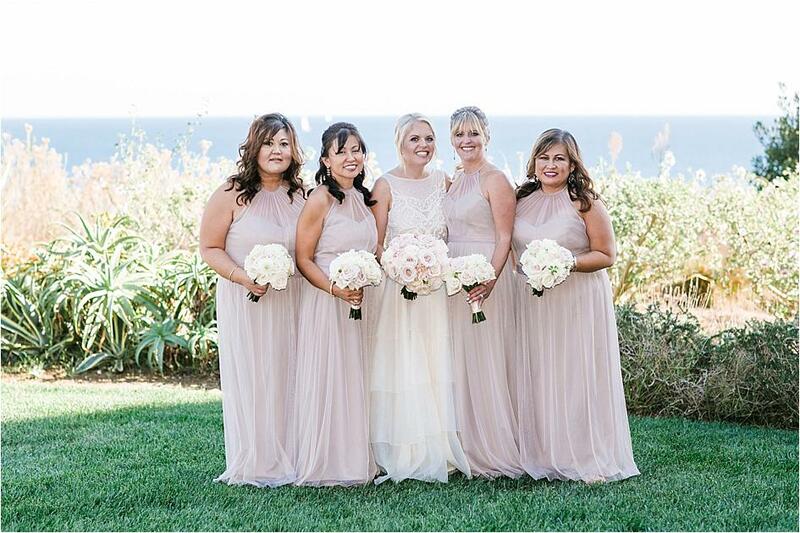 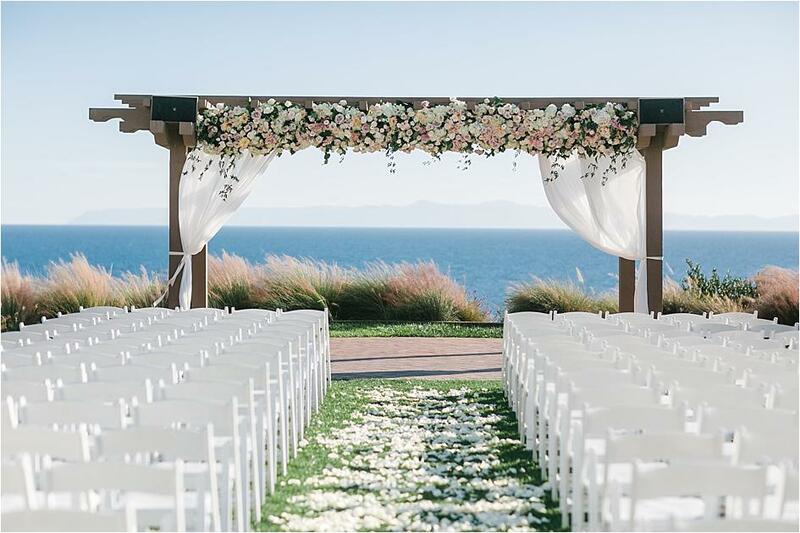 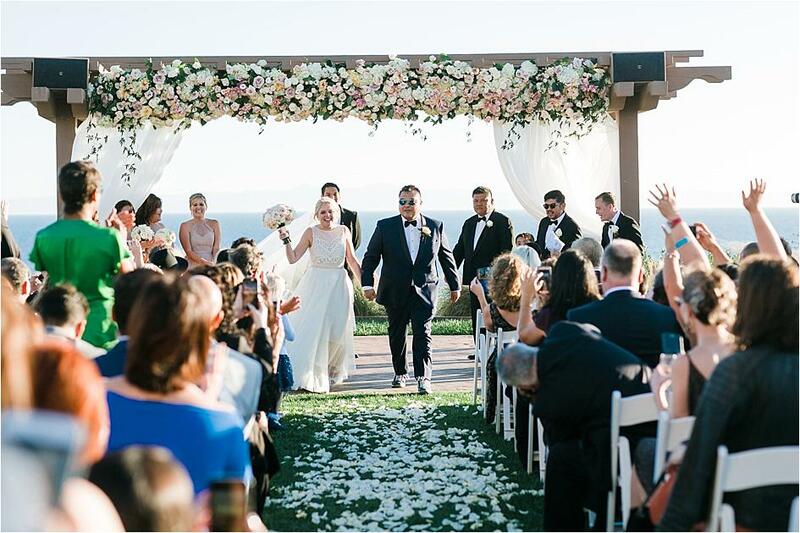 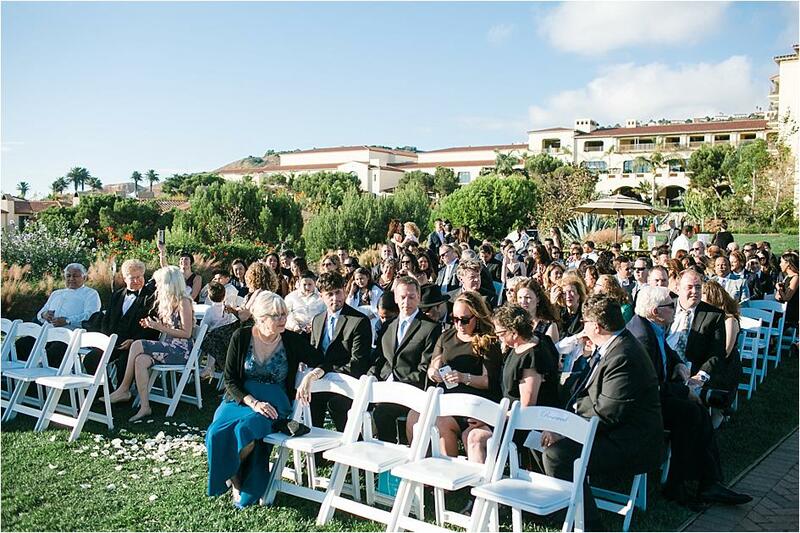 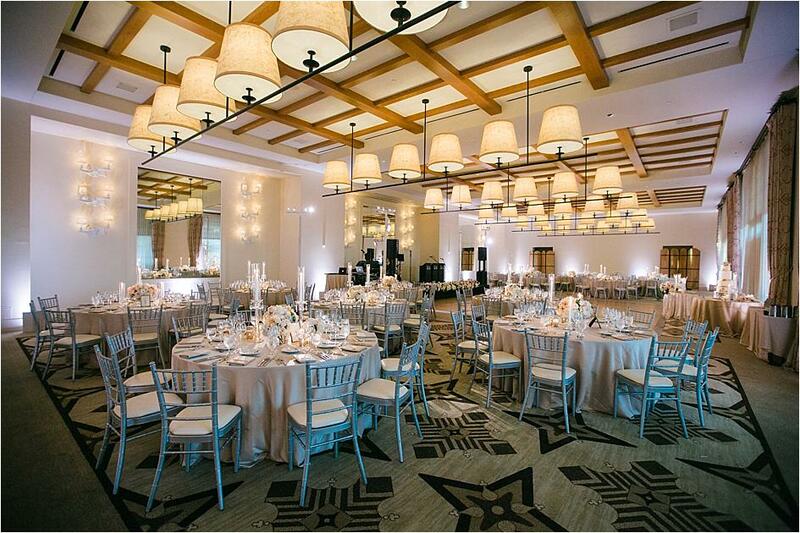 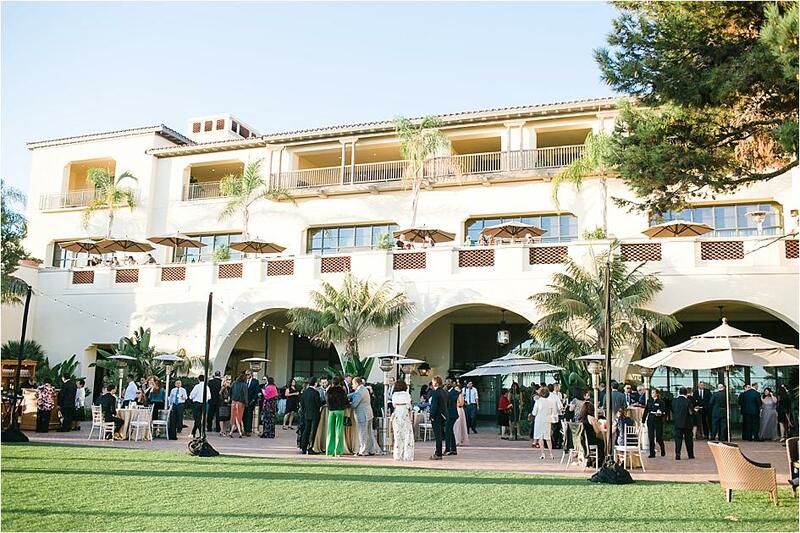 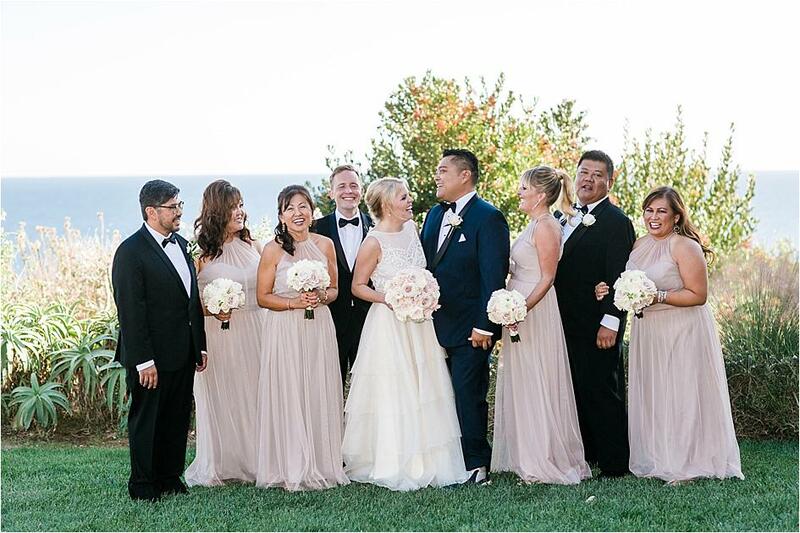 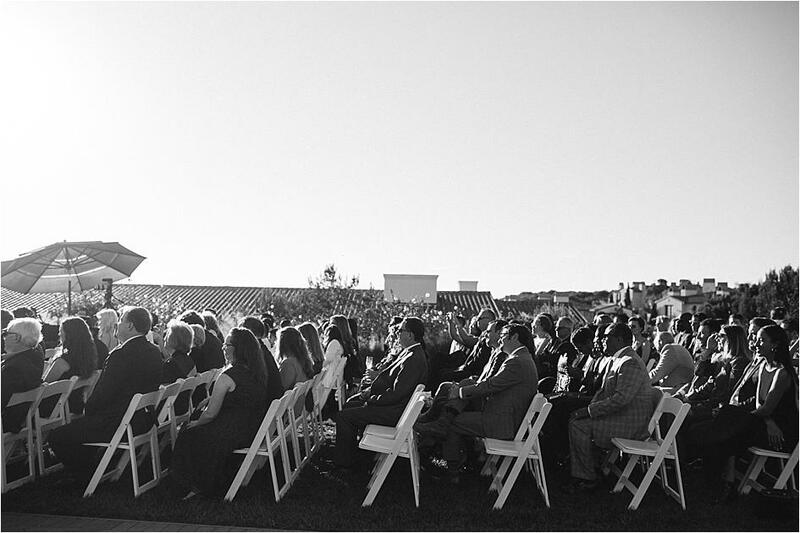 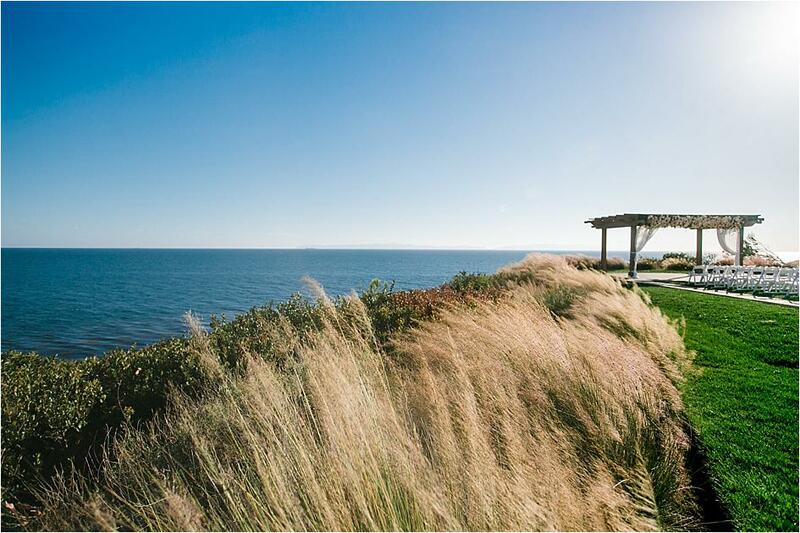 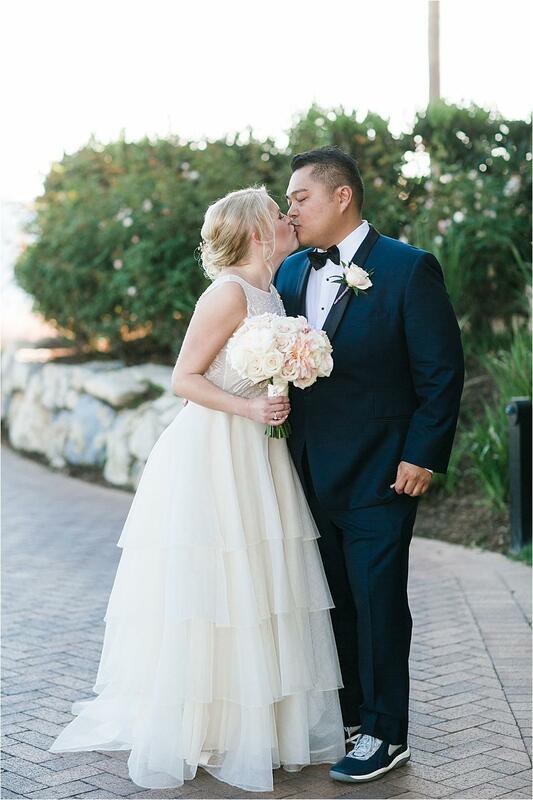 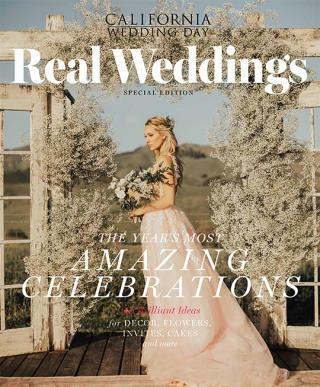 Terranea, with its natural beauty and classy ambience, was the perfect setting for the wedding, as it mixed the couple's dreams of romance and neutral tones into a reality. 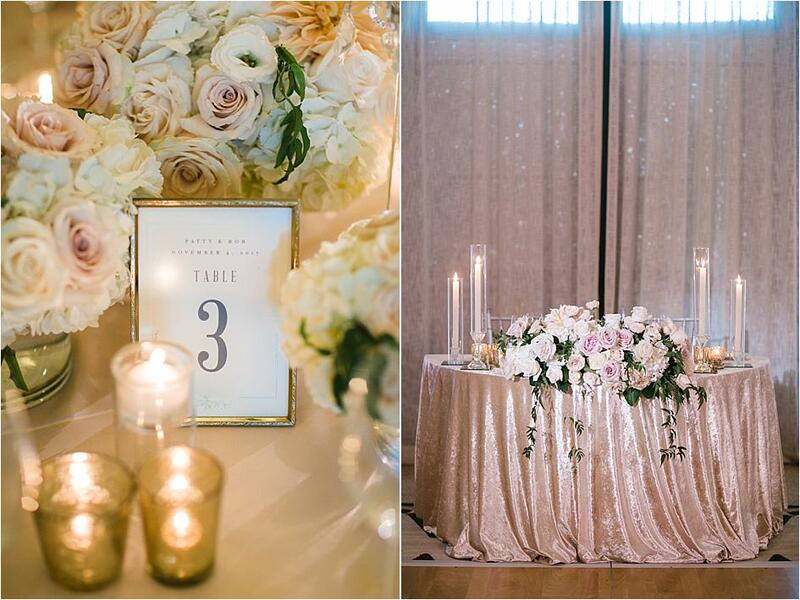 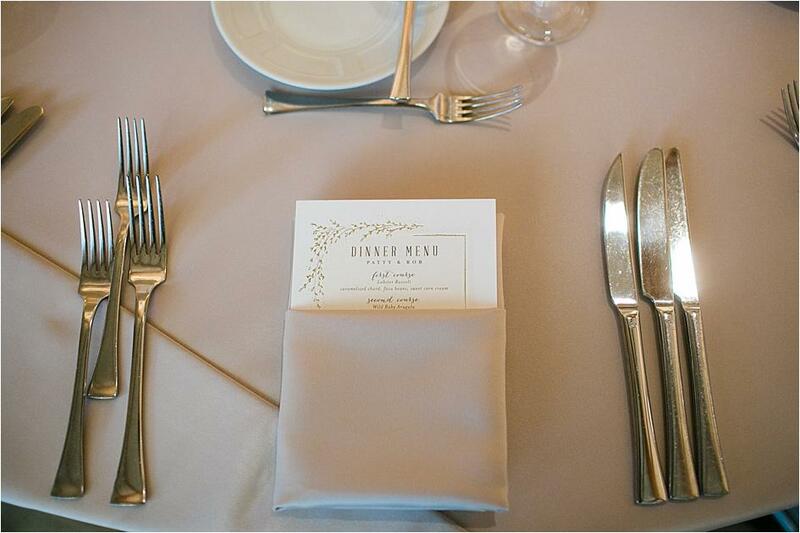 Hints of sparkle were added throughout the day, including rose gold and silver, to accentuate the soft-hued palette. 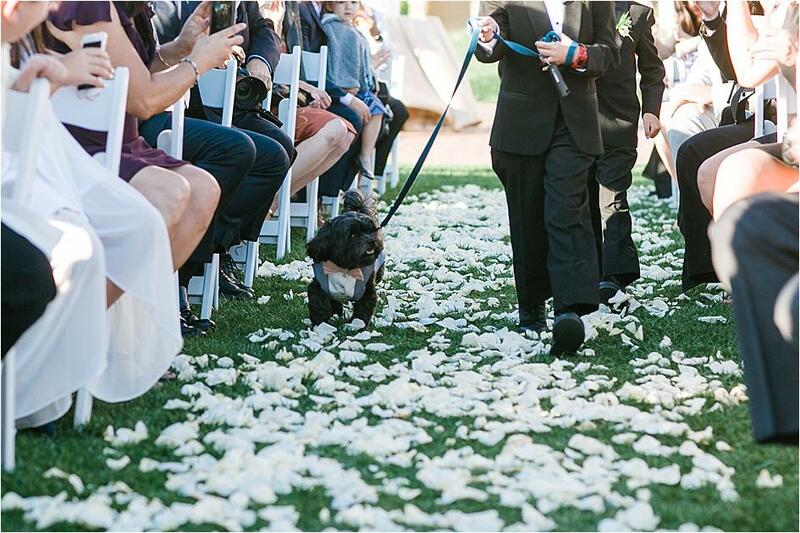 The couple's dog Freddie Mercury trotted down the aisle as the ring bearer, and Rob's best friend and cousin Victor officiated the ceremony, adding a sentimental touch to the big day. 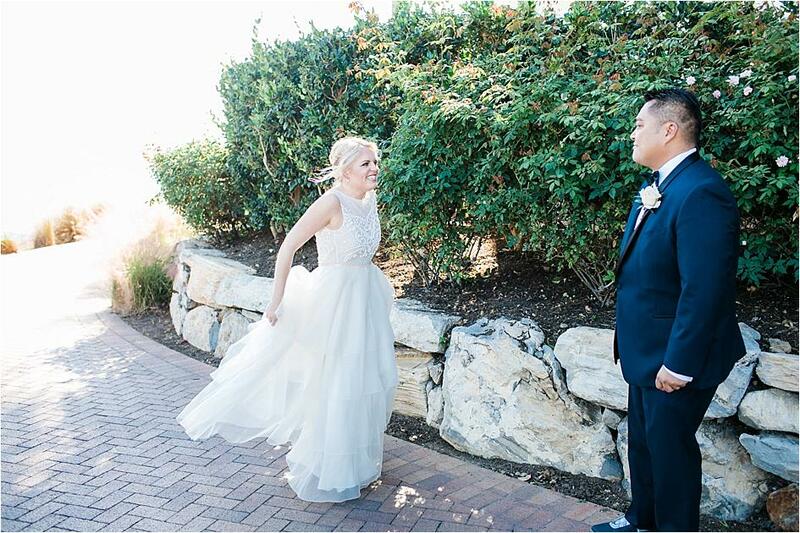 The bride and groom exchanged traditional vows as well as comedic ones, showcasing the fun-loving nature of the couple. 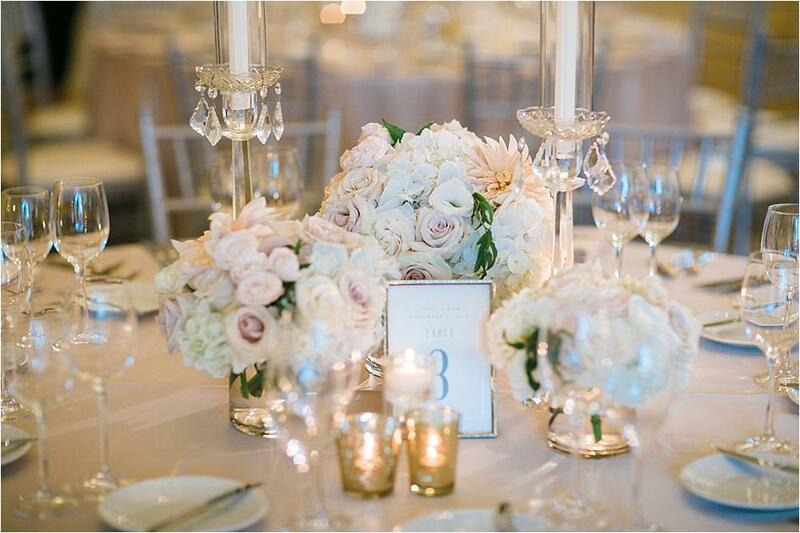 Roses, hydrangea, peonies and dahlias stole the show in luxurious arrangements from Flowers by Cina at the reception. 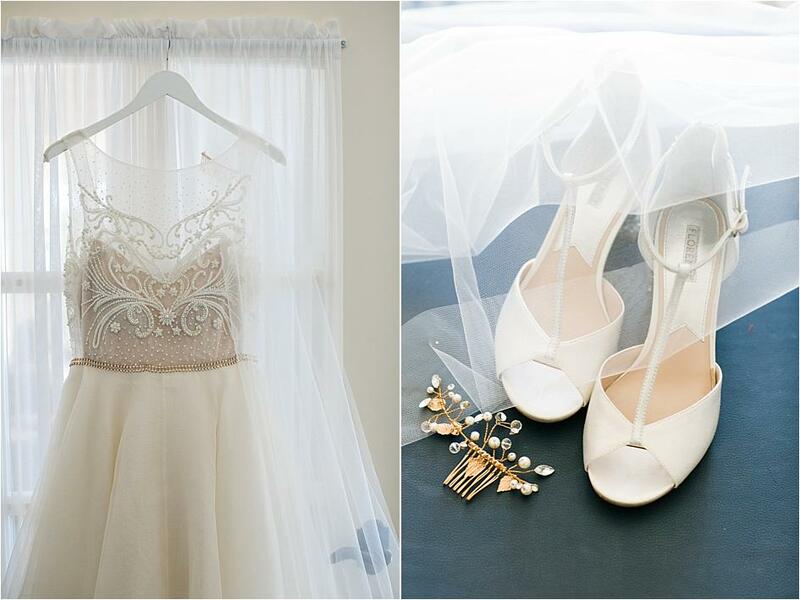 The elegance and beauty of the design even brought Patty to tears at first glance! 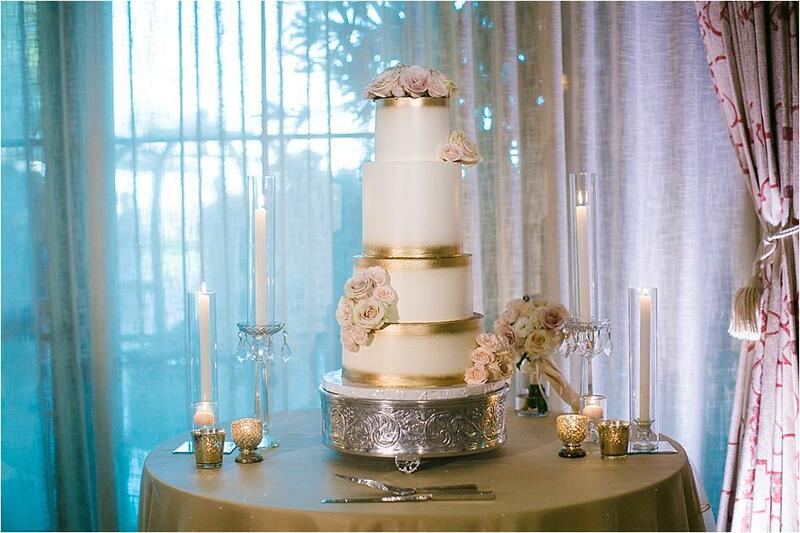 Patty and Rob wanted to provide their guests with a memorable party and amazing food, and the dance floor and delicious four-tiered cake graced with gold by Vanilla Bake Shop didn't disappoint. 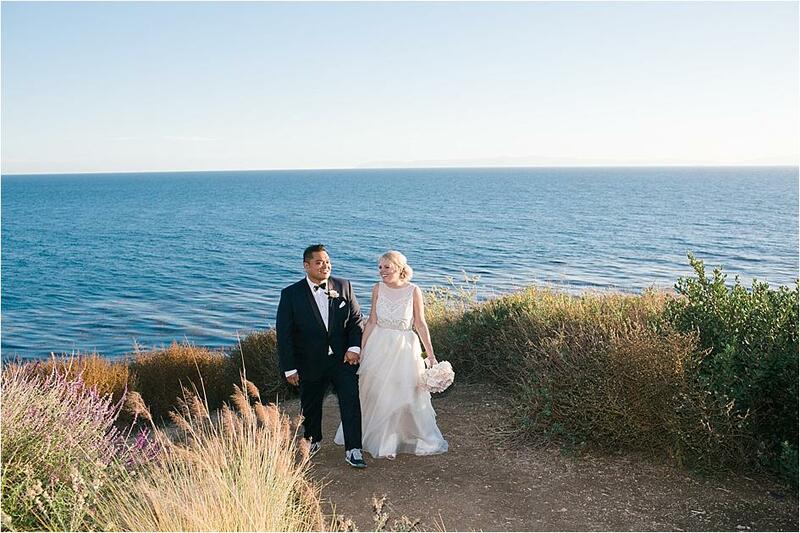 "The day is amazing but goes by incredibly fast- so try to take a deep breath and enjoy it all," says Patty.